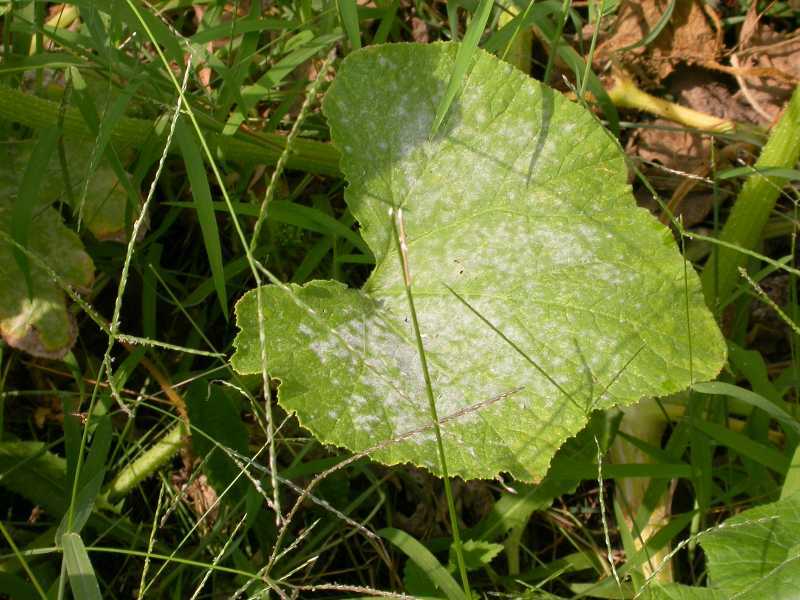 Powdery mildew is caused by a fungus and is seen as a light gray or whitish powder on the surface of leaves. 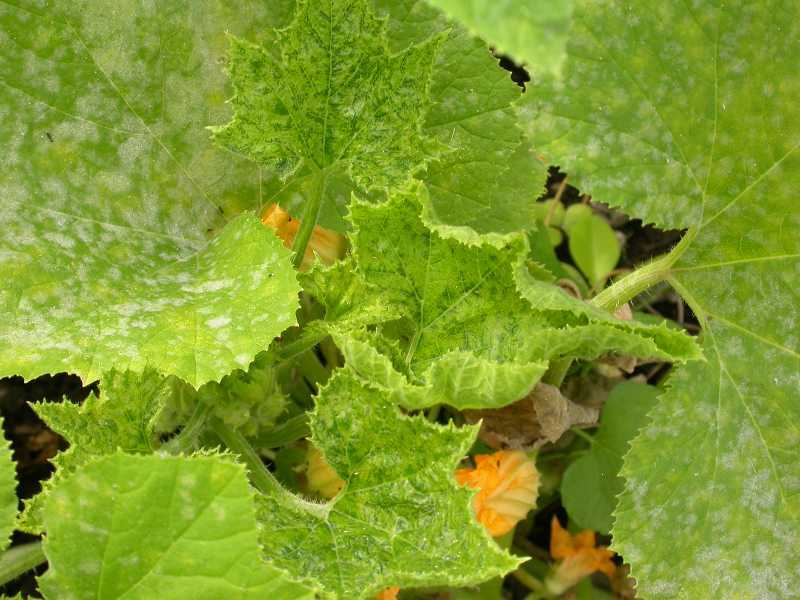 It occurs following warm days and cool nights often being seen in the fall and spring. 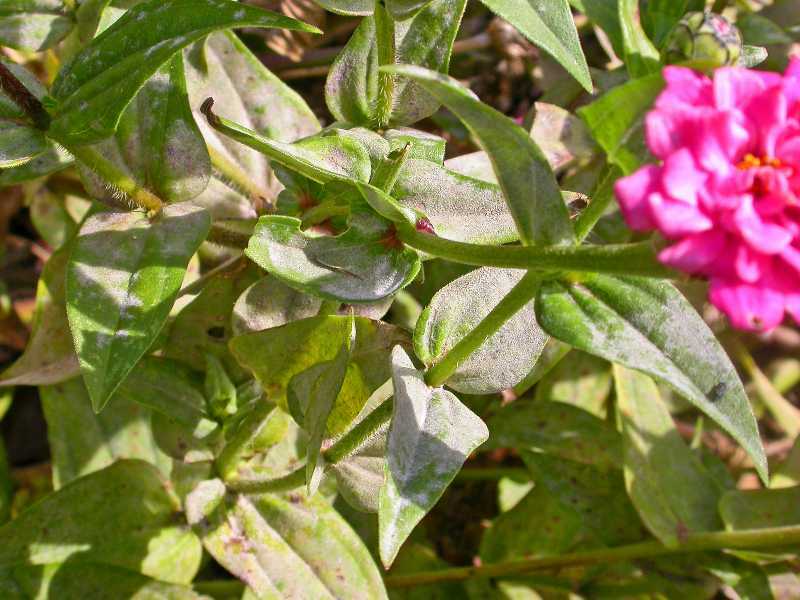 The disease is considered more unsightly than harmful. Death of the plant is rare. 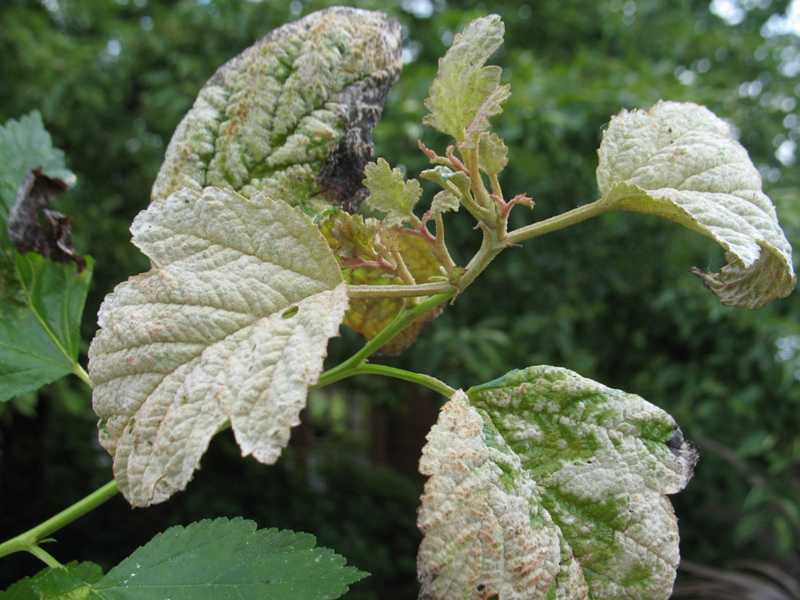 Even though each species of powdery mildew attacks only a narrow range of hosts, there are 11,000 species of the powdery mildew fungi, and many ornamentals are hosts. 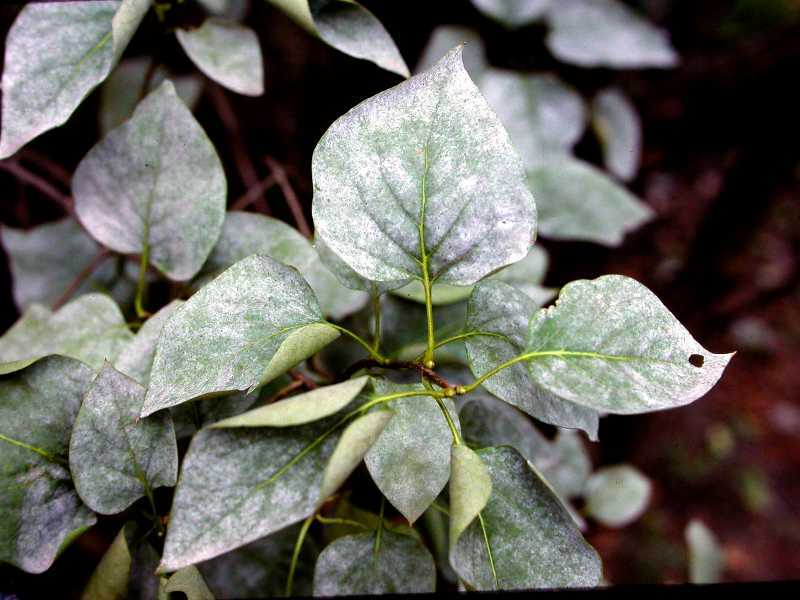 Superficial powdery patches appear on leaf surfaces, young stems, flowers, and even fruit. 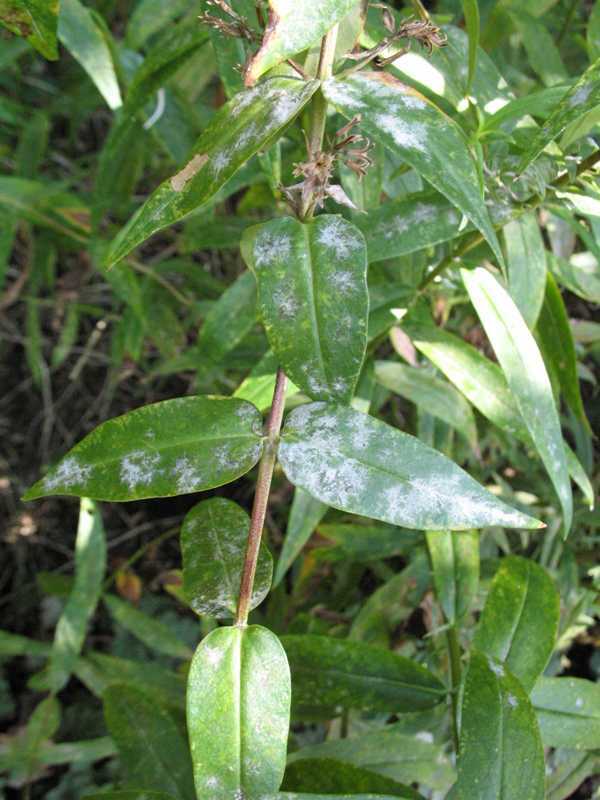 The powder is composed of mycelium and colorless chains of spores on upright stalks. 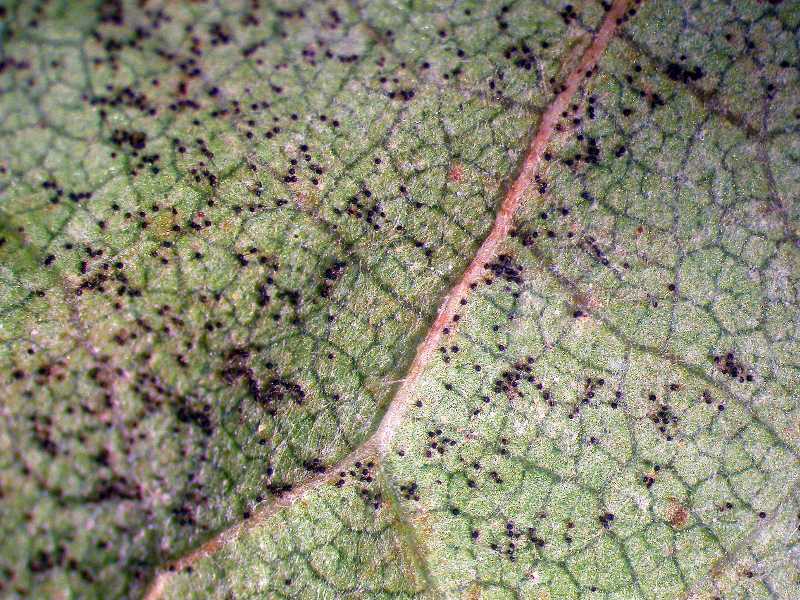 Later there may be dark "pepper-like" spots among the powder (the spots are spore-producing bodies). 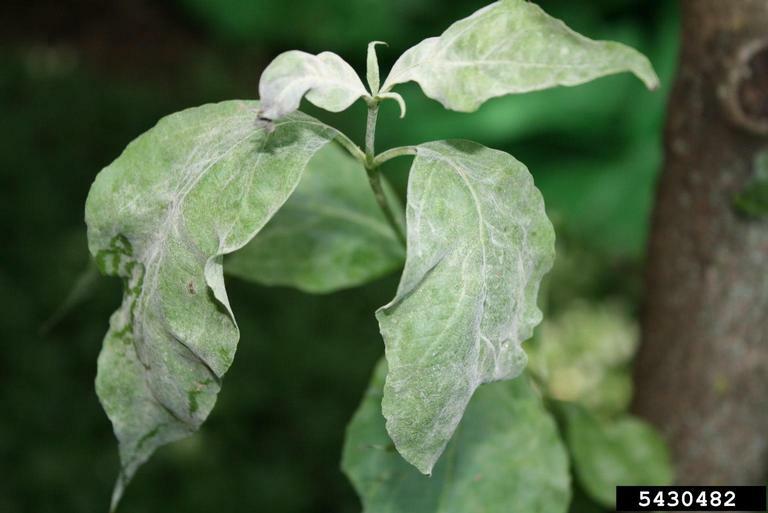 As the disease progresses, leaves may be dwarfed, curl, turn yellow, and drop off. 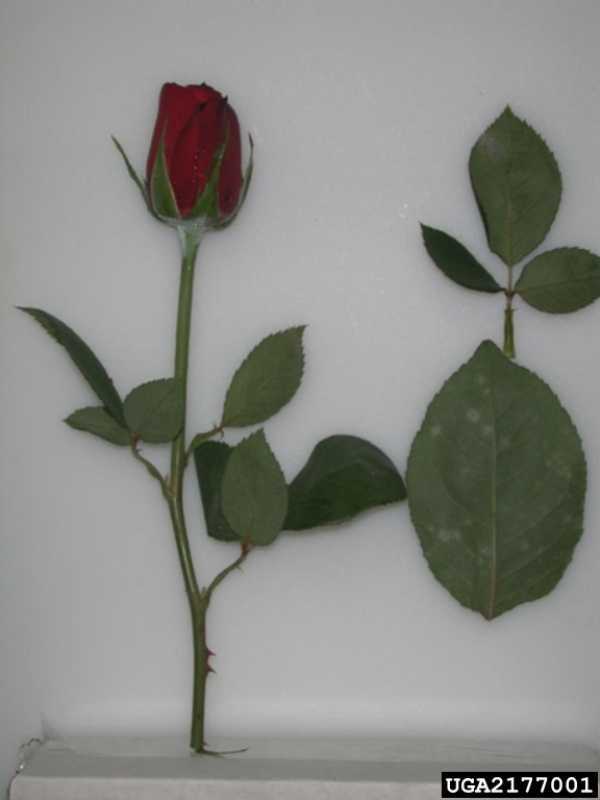 Flowers may be deformed. 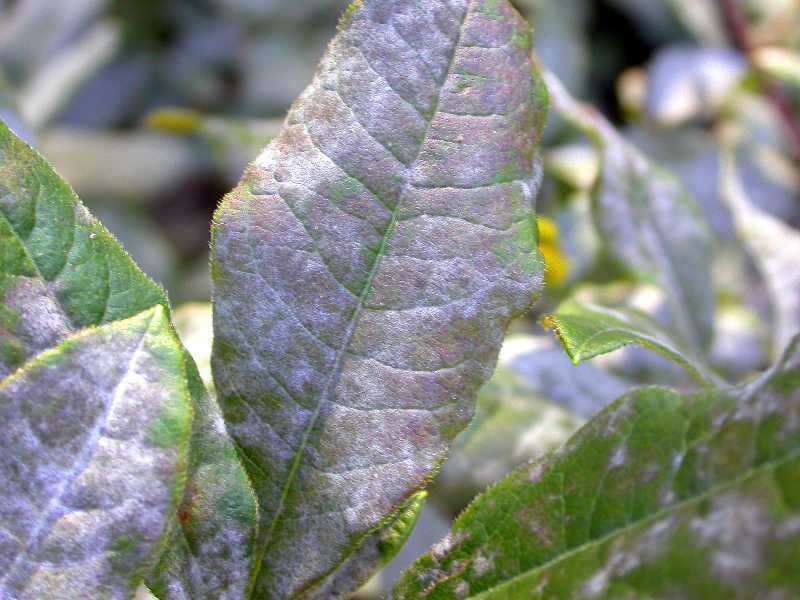 Fruit crops may be reduced, with the fruit misshapen and covered with powdery patches. 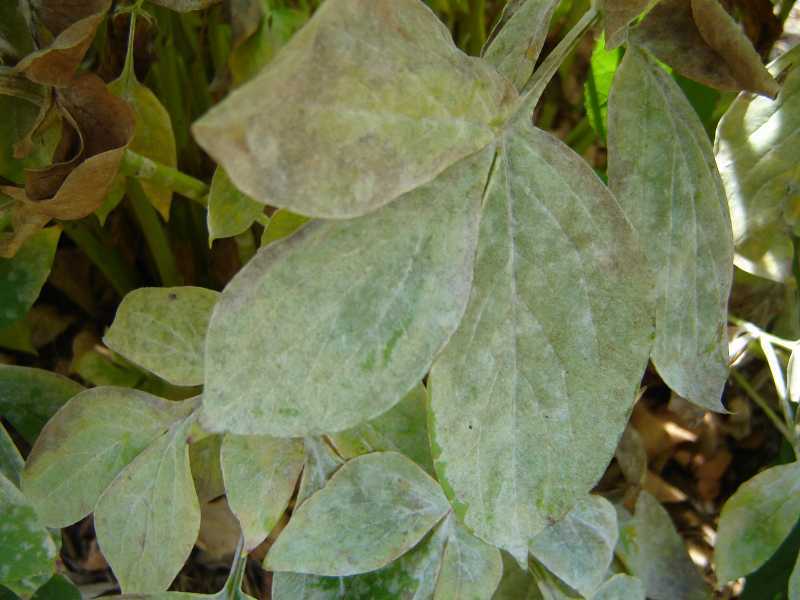 Powdery mildew commonly winters over as mycelial mats in dormant buds or on plant stems and fallen leaves. 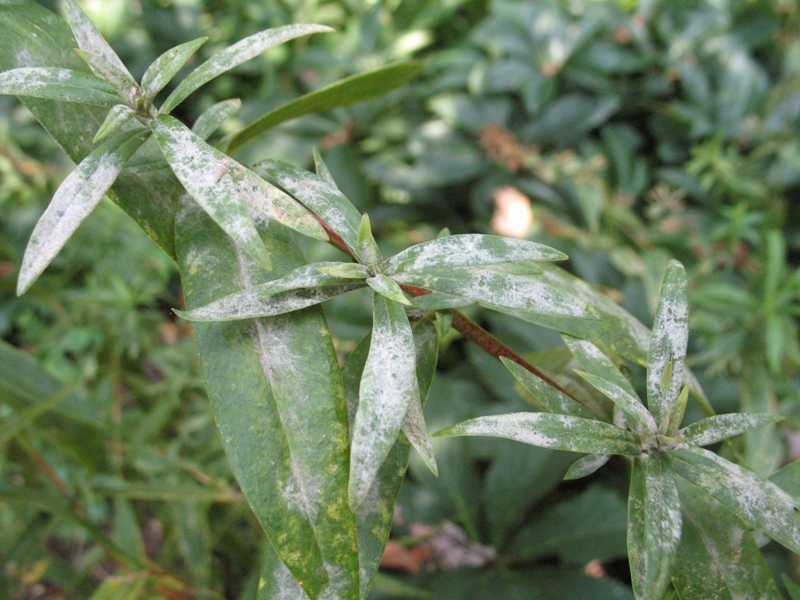 During humid and warm spring weather (with cool nights), infected buds open and spread conidia (spores) to new host tissue. 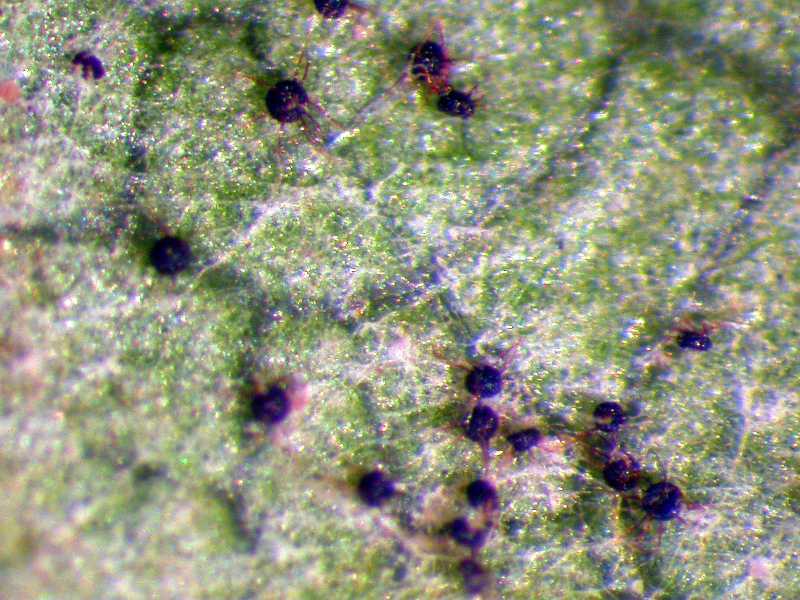 These conidia do not require free moisture in order to germinate as many fungi do. A new generation may be produced every 72 hours, if conditions are right. 1. 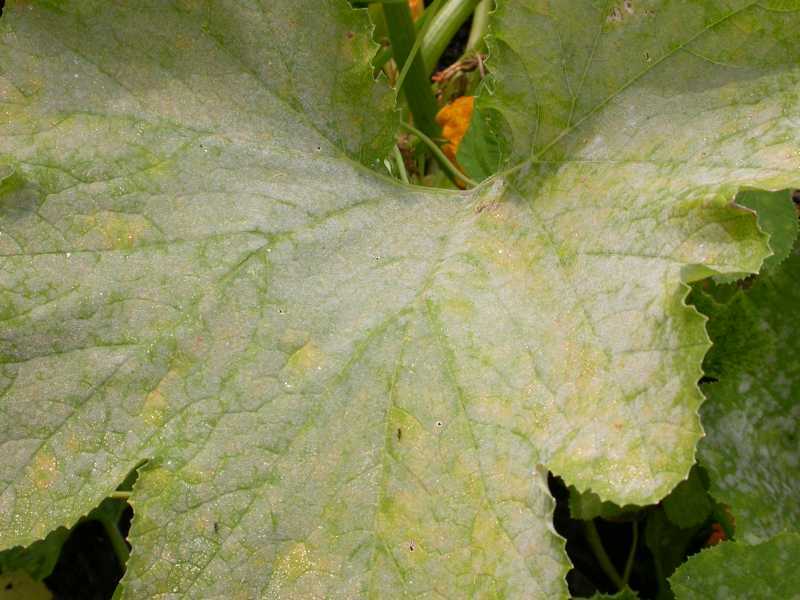 Purchase resistant varieties. 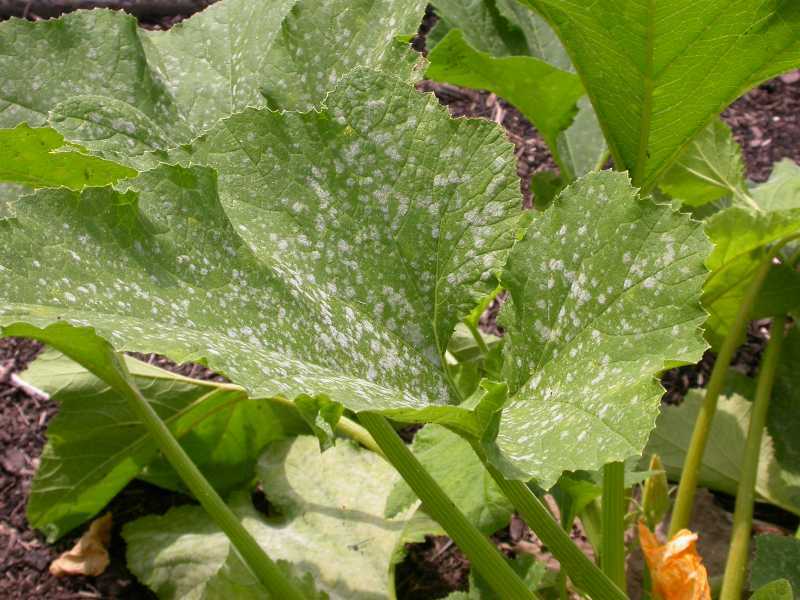 This is the best strategy for avoiding powdery mildew. 2. Pruning. 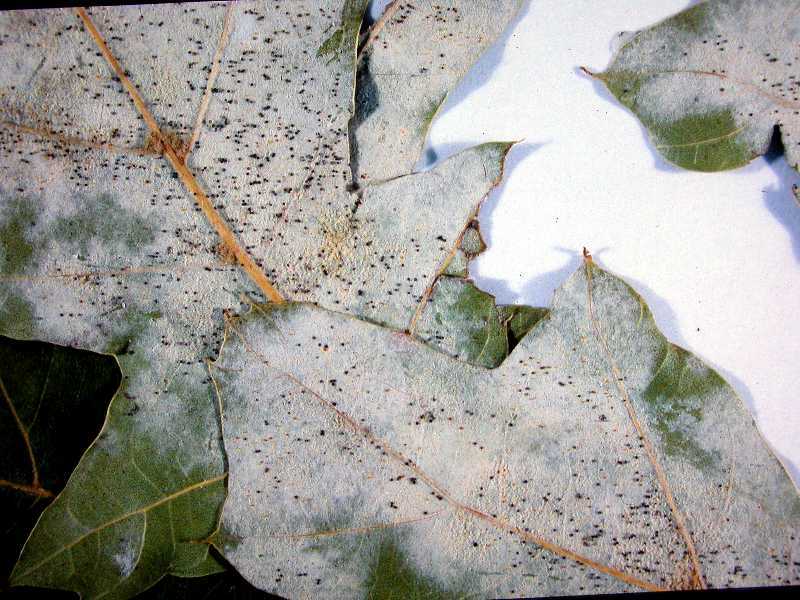 Prune out diseased tissue and destroy it. 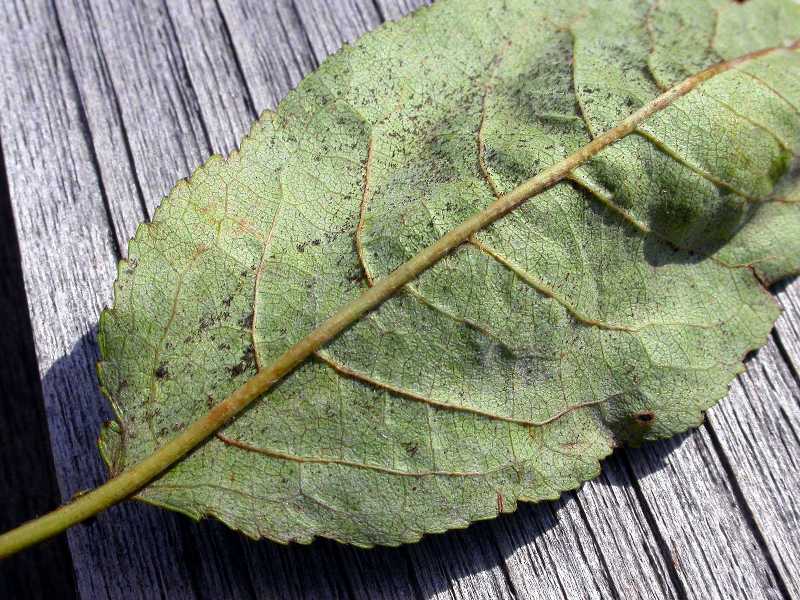 Gather and destroy dead leaves and stems in the fall. This is the source of next season’s inoculum. 3. Keep plants in good vigor. Space the plants for good air circulation. 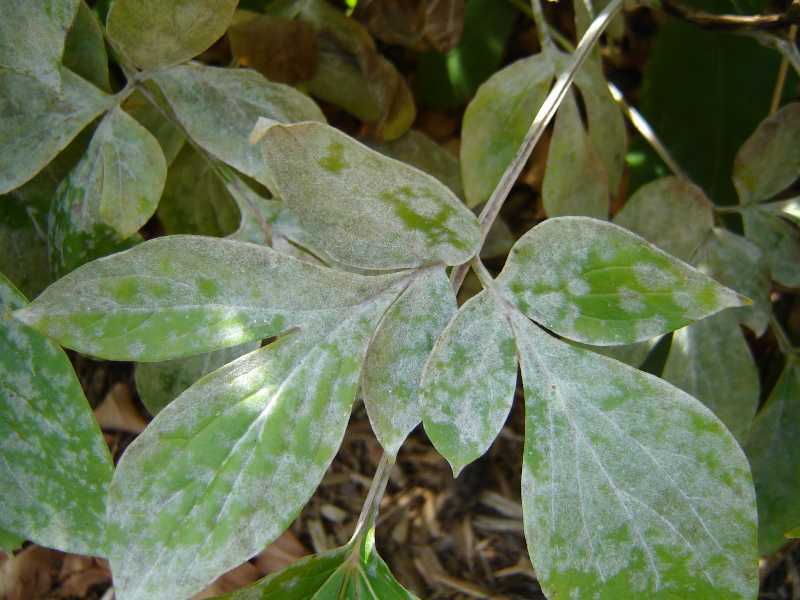 Give the plants plenty of sun, as too much shade seems to make the problem worse. 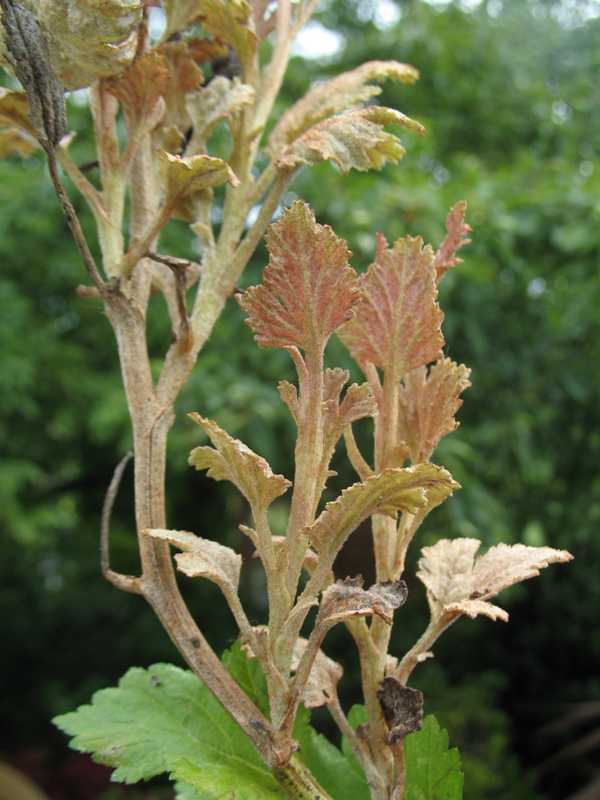 Try to avoid overhead watering and do not handle the plant when the foliage is wet as this will spread the disease. Water early in the day. 4. 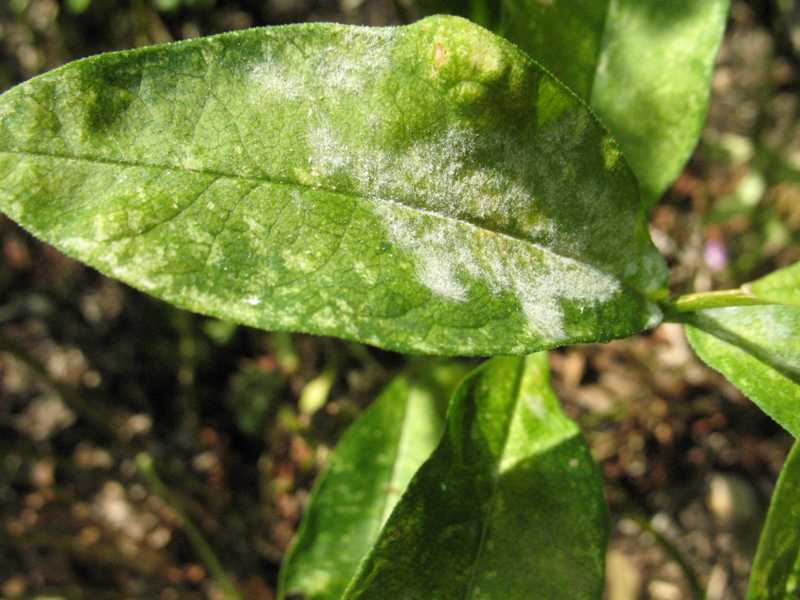 Fungicides. 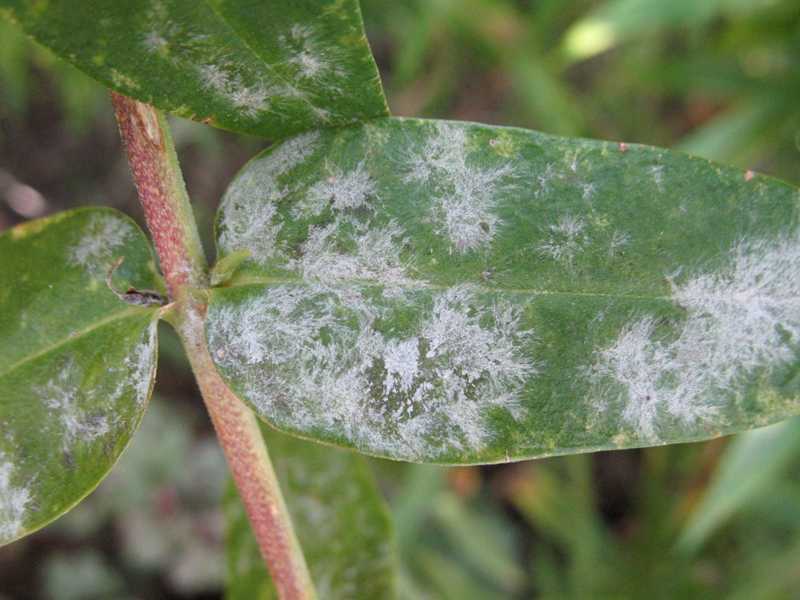 Use fungicides as a preventive treatment before a rain for maximum protection. 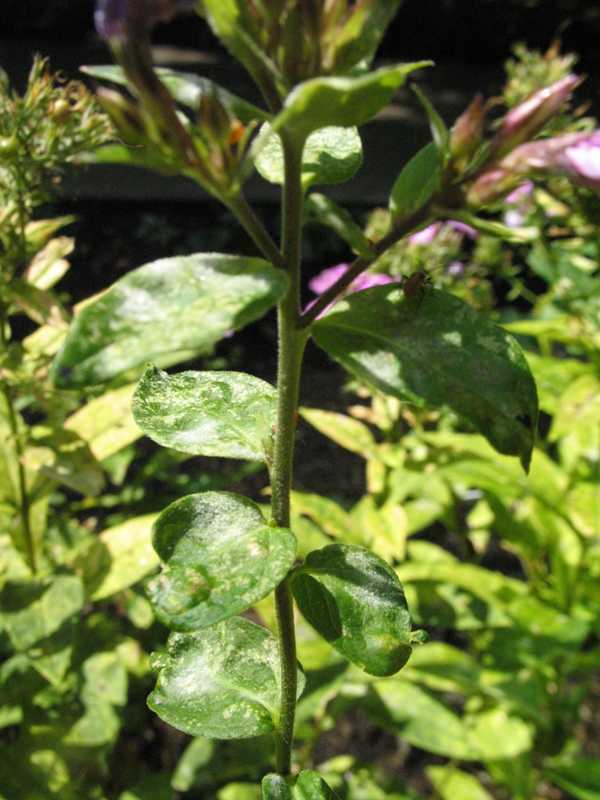 Spray both sides of leaves and flowers well with sulfur, mancozeb, maneb, chlorothalonil (Daconil), cinnamaldehyde (Cinnamite), or copper-containing fungicides. Strategies 1, 2, and 3 are strictly organic approaches. Of the fungicides mentioned in Strategy 4, consult the Organic Materials Review Institute (OMRI™) for appropriate organic copper products.